We remember those who served for our country, sometimes fighting for the freedom of other countries. Most of all, we honor those who made the ultimate sacrifice. Never forget, Freedom is not Free. 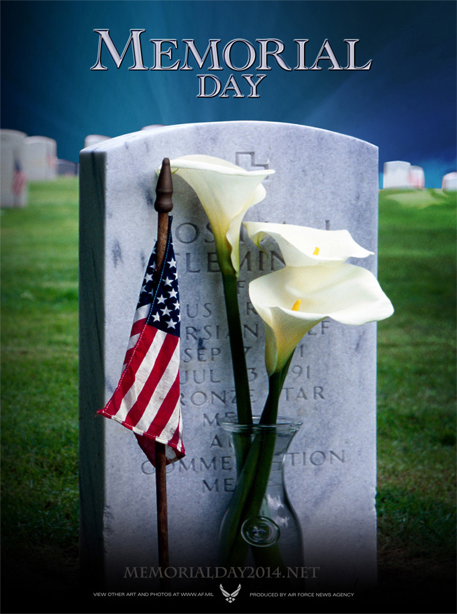 Memorial Day is a day of remembrance of those who have died serving our country. Memorial Day was a response to the unprecedented carnage of the Civil War, in which some 620,000 soldiers on both sides died. The 24-note bugle call, is played at all military funerals and memorial services. These are the two most popular items people use to remember soldiers. America’s Top 10 Deadliest Wars. What is Memorial Day really about? While we are busy gearing up for the weekend, I thought I should post this annual reminder about the holiday. It may surprise some of you. If you are relatively new to Blackfive, you should read this story about a Memorial Day eleven years ago – Mathew Schram’s Memorial Day. And, unfortunately, we’ve posted many memorials to our Fallen Americans. Of course, Memorial Day is about remembering the sacrifices that our military men and women have made over the last 237 years. We are still a young nation, but one that has made many sacrifices to remain free. We should also take time to remember the families who have lost loved ones. We have focused on just a few of the fallen over the last few years. I’ve lost good friends during the War on Terror. And I write about the others to ensure that we don’t forget their sacrifices – I do that for me as much as for anybody. Click on the link to read the entire blog post. There will be many Memorial Day observances here in the U.S. this weekend, but loved ones of service members buried abroad can rest assured their veterans will not be forgotten. The American Overseas Memorial Day Association (AOMDA) is a non-profit organization dedicated to honoring the memory of those who gave their lives in World Wars I and II, whose final resting places are in American military cemeteries or separate graves all over Europe and even Africa…….